Antioxidants are an essential defense mechanism to protect our body against free radical damage. They balance the production of free radicals and detoxify them when in excess. The objective of the study is to determine the free radical scavenging potential of the candidate plant leaves when subjected to a battery of free radical scavenging assays. The different leaf extracts used were aqueous, methanol and chloroform. The results suggest that Majorana hortensis (L.) H. Karst leaves could serve as a potential source of antioxidant and can be used in any preparation for combating free radical mediated damage to the body. The present study evaluated the anti inflammatory activity of ethyl acetate and aqueous extracts of bark of M. nagi using carrageenan and histamine induced rat paw edema. Adult Wistar albino rats were subjected to carrageenan and histamine induced rat paw edema tests. 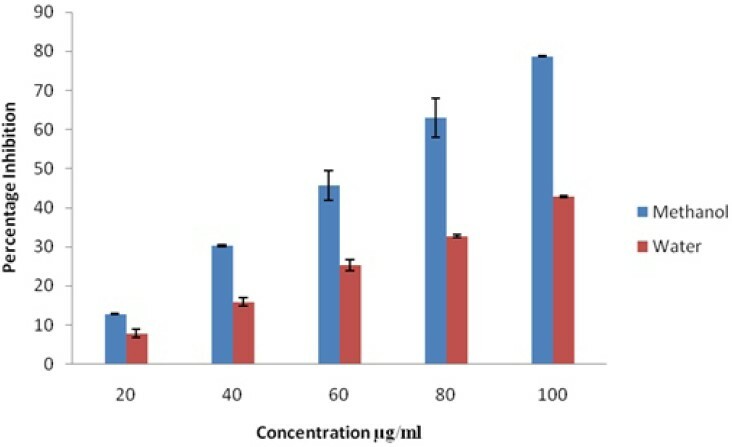 In carrageenan induced rat paw edema the effects of ethyl acetate and aqueous extract at 100 and 200 mg/kg showed % inhibition of edema 27% and 22% respectively than the standard drug aspirin (28%). 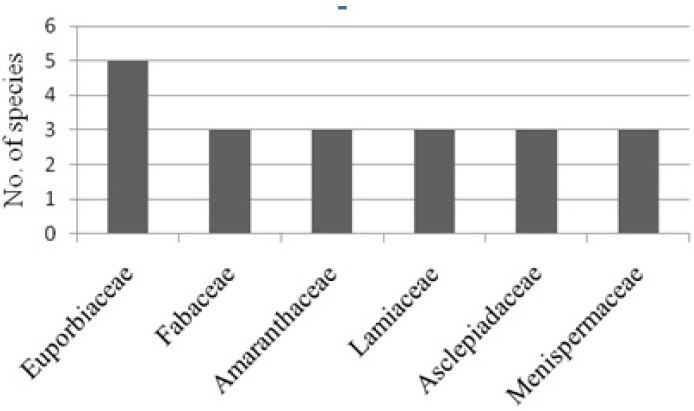 These ethyl acetate and aqueous extract extracts also showed % inhibition of edema 25% and 18% respectively than the standard drug (27%) when rats challenged with histamine induced rat paw edema. Future research should focus on the identification and the anti inflammatory activity of the constituents from this plant. Oxidative stress and impaired antioxidant system have been implicated in the pathophysiology of various diseases. The objective of the study was to determine the quantitative phytochemicals and invitro antioxidant activity of fresh leaves of Syzygium malaccense. The result showed that the methanolic extract exhibited strong antioxidant activity and contains a higher amount of phenolics and flavonoids when compared to aqueous extract. Oroxylum indicum (Linn.) Vent , the plant used in this study is one among the group of ten drugs named Dasamoola, widely used in Ayurvedic system of medicine. 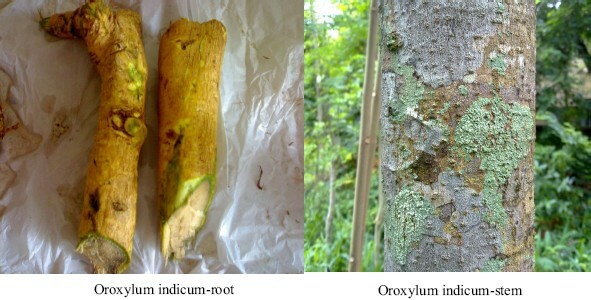 The officinal part of this plant, the root bark is often adulterated with the stem of the plant. Hence this comparative study of root and stem of this plant becomes highly significant. The Physico-chemical parameters, Thin Layer Chromatography and High Performance Thin Layer Chromatography studies of stem and root were carried out in this study separately. The TLC studies of three different fractions were isolated - (1) Lipids, fats and waxes (2) Glycosides, Terpenoids and Phenols (3) Alkaloids TLC studies showed that the phytochemicals isolated from root and stem separately are different from each other, thus helping to distinguish the part used. 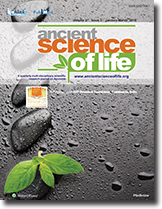 The review of Ayurvedic classical literature also reveals that the therapeutic actions of stem and root are different. The antibacterial activity of alcoholic extracts of stem and root were carried out separately using agar well diffusion method and found that the stem extract has more antibacterial activity especially against organisms causing diarrhea than root extract. This further validates therapeutic indications mentioned in Ayurveda.